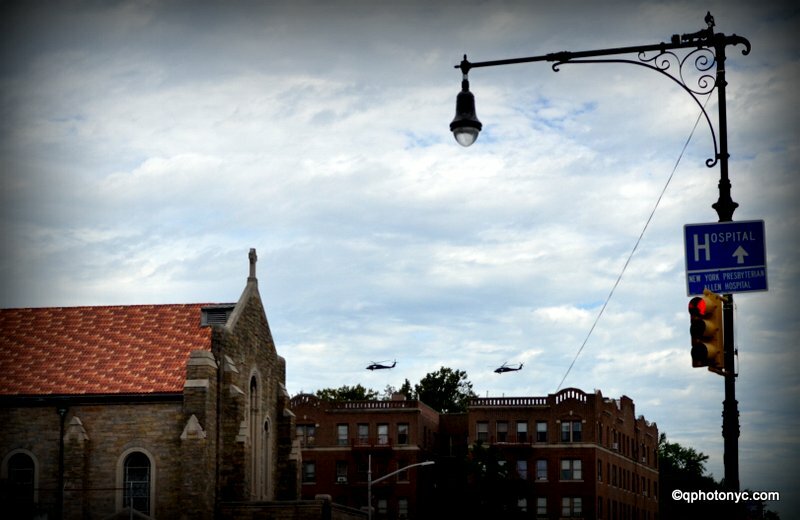 On Saturday afternoon a pair of military helos buzzed Inwood rooftops and then on Sunday two Ospreys passed noisily overhead. What the heck was going on? A local street vendor opined to the Gazette that another 9/11 was in the works and cited a secret meeting that supposedly took place at the 34 Pct last week wherein NYPD brass from across NYC brainstormed the event. But seriously, they were up here because a high profile VIP was due to arrive in the City Sunday night…along with his new beast.